Raced my Miata. Broke my Miata. Fixed my Miata. Raced some more! Today was my second track event and boy was it fun. 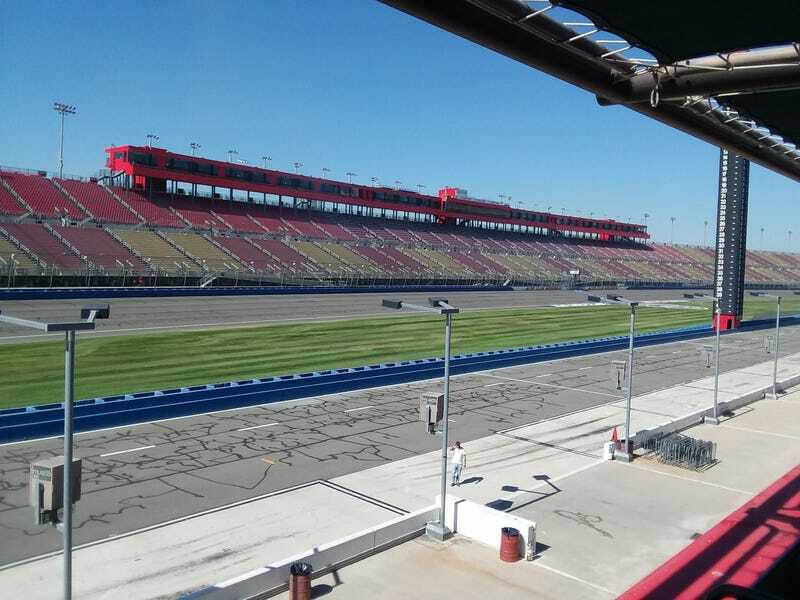 This one was at Autoclub speedway in Fontana, ca. And a beautiful sunny day in the upper 80s. Well it started out great on my first few laps but then something hapoened. I entered the front straight into the finish line (through the big NASCAR oval section). As I was reaching the rev limiter in fourth gear at about 90mph, I shifted into 5th and then the shifter kept going into nowhere land. I was extremely worried I actually grabbed third instead of fifth and ended up with a very bad day. But after pulling back to the pits stuck in 5th gear the whole lap, i started taking things apart. Nothing obvious seemed wrong until I took apart the shifter. The bolts not marked for removal in step 7. The bottom right was gone. Bottom left was wayyyy out of the hole. Well the housing that holds the shifter in the linkage had a bolt missing, one was 75% backed out, and the two others were maybe finger tight. After much turmoil wondering how to fix it, I found a nice guy who happened to have a perfect 12mm bolt that fit just right in there! Bolted it back together and made it back out ,only missing one session. I still had two more 25 minute sessions so I was very happy with my day. What an adventure but at least I can drive home! I went back out and placed some solid times. My fastest recorded lap time was 2:20 but my fourth session I went a bit faster. Unfortunately my phone decided to not work right and didnt record the data. I beat a few people in my run group (purple, low intermediate, level 2 of 6). And I managed to pass some people even though they had significant horsepower advantages. I barely touched 110 on the straight while faster people easily made 130+ there. Fun day through it all though. Very happy I’m not being towed home and my day was awesome. I witnessed this car blow up on the front straight while spectating before my first run. Thing sounded loud as hell going by the first time and then the next lap a giant cloud of smoke and an oil streak down the straight. I also saw 4 other cars being towed away at various points of the day due to other mechanical failures. All things considered, my trackside repair was but a momentary problem. No idea why those bolts were loose or why it didn’t affect me sooner considering I replaced that shifter last summer. But I also have never shifted 4th to 5th at those speeds before anyways.